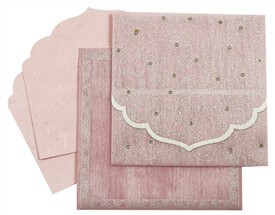 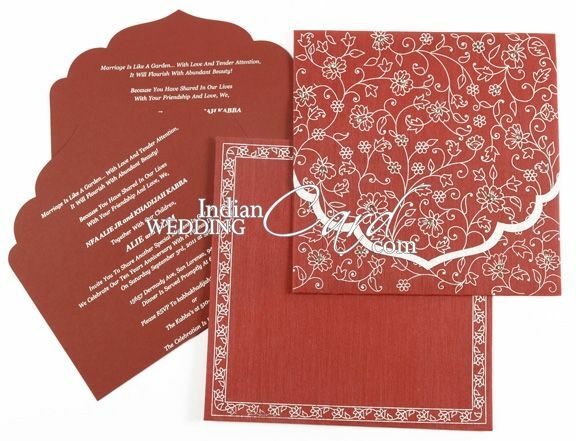 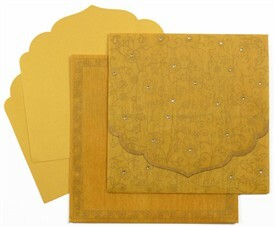 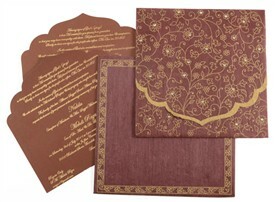 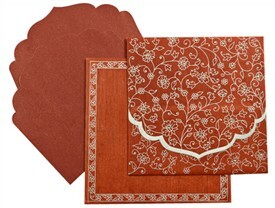 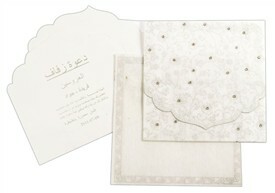 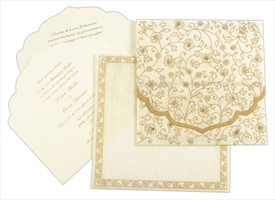 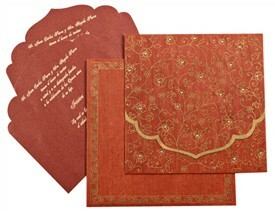 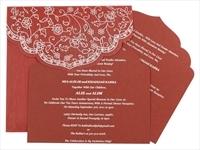 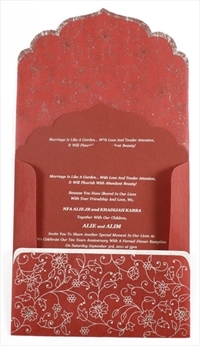 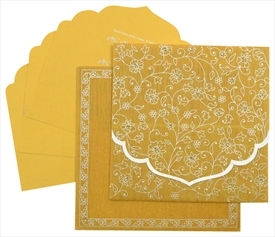 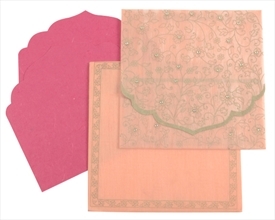 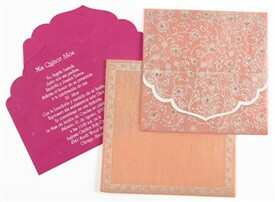 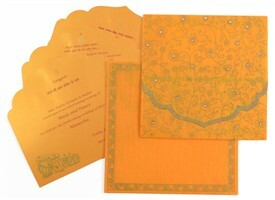 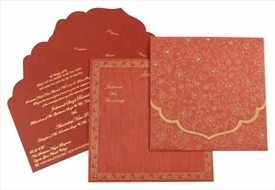 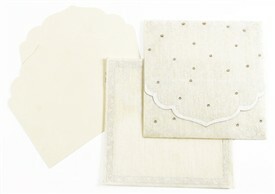 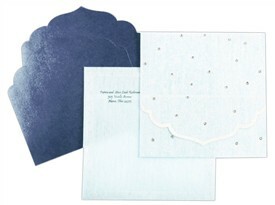 D-927, Red Color, Light Weight Cards, Designer Multifaith Invitations. 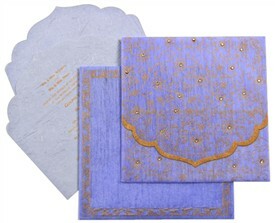 The essence of Royalty! 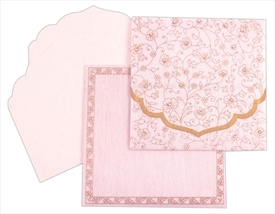 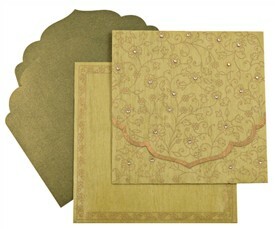 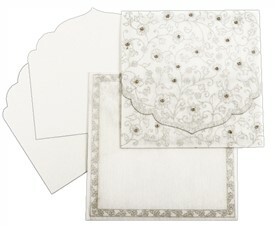 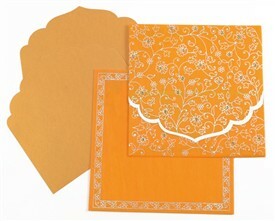 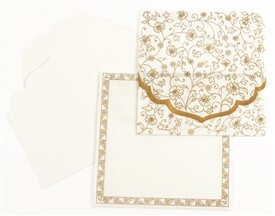 This card has a silver decorative border design on front and the jacket folds have a silver floral base with kundan work. 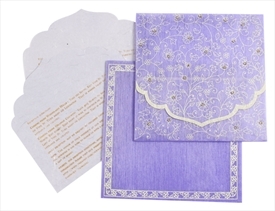 The inserts are plain. 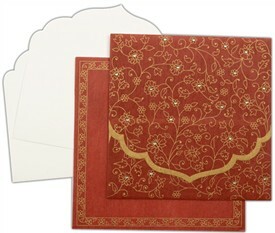 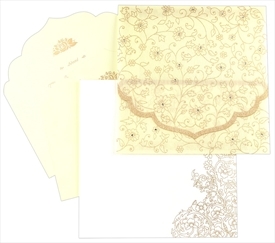 The envelope follows the overall card composition.